Slide on this daring design for flashes of chic style. 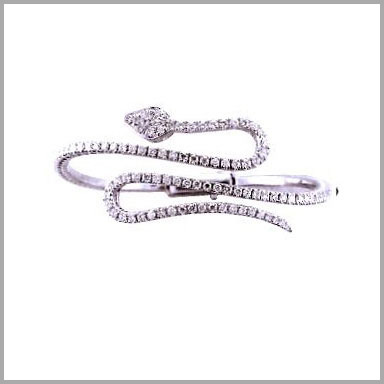 This flickering snake bracelet is crafted in 18K white gold. 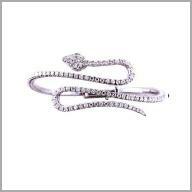 It features 102 full round cut diamonds in prong settings at the heart-shaped crown of the head. The total diamond weight is approximately 2.0185ct with a color of G-H and a clarity of SI2.